As the homeowner of an eco friendly home, you will enjoy a healthier, more durable home with a lower environmental impact, as well as the ability to choose which green features you want. Further Eco-built homes are affordable with a reduction in monthly operating costs, rebates and more. 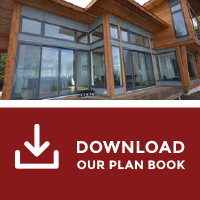 Many green built homes use triple-paned windows, which in addition to offering superior energy efficiency, offer substantial sound reduction from exterior sources; noise transmission is greatly reduced and insulation and air tightness is improved. One of the most overlooked aspects of a sustainable built home is durability. The new homes built today will last for at least 100 years. We want to ensure that we aren’t building homes that need substantial renovation every five years. While renovating is costly, there is also an adverse effect on the environment, in terms of waste generated and energy consumed in the process. One of the key deciding factors about constructing environmentally friendly buildings is the cost. Photo-voltaic, energy efficient appliances and modern technologies such as geothermal energy will increase your budget. Adopting green technology in your home may add 3-10% or more in costs, however, the yield in operational savings is well worth it if you plan for the long term. Over 20 years, the financial payback typically exceeds the additional cost of greening by a factor of 4-6 times. If you have been considering building a home that is green, please give us a call at our Toll Free: 1-877-826-5461. We are happy to explain the different options available to you.